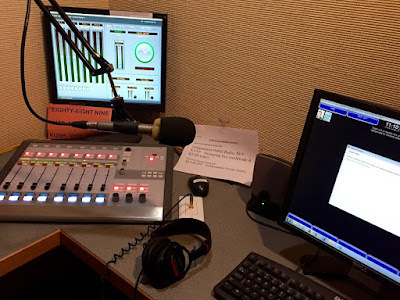 For almost fifteen years, I have provided a Land Use Report on KUSP radio, a Santa Cruz-based FM radio station serving the entirety of the Monterey Bay Region. 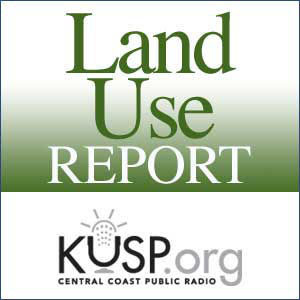 The Land Use Report was not only broadcast on the radio, it was offered as a podcast, too, allowing interested persons to listen to the Land Use Report at a different time, and in areas not reached by the KUSP broadcast signal. The availability of a podcast version of the Land Use Report also allowed anyone interested to revisit past editions. The KUSP website made a written transcript of the Land Use Report available through a blog, with links to additional information about the topic of that day's report. That information included a list of "Land Use Links," providing interested persons with easy access to the websites of various local government agencies, and nonprofit organizations, that typically deal with land use issues. My first edition of the Land Use Report aired on July 28, 2001. My very last Land Use Report was scheduled on KUSP today, May 8, 2016. As of today, KUSP has removed all local programming from the station, which the Board of Directors of the Pataphysical Broadcasting Foundation, the owner of the station, somehow thinks might help the station survive a truly difficult financial crisis. I do hope the station survives, but eliminating all local programming, which is what the Board of Directors decided to do, doesn't seem to me to be the best way to inspire public contributions. At any rate, as of today, the Land Use Report is gone. I have heard from a few listeners that they are "lonely" for land use information, in advance. I pretty much feel the same. I have become accustomed, over the years, to spending most of my Saturdays writing, recording, and then documenting the Land Use Report. I'll miss it! Maybe there will be some way for me to keep my hand in, and to keep reporting on important land use issues in the Monterey Bay Region. I might, for instance, try to highlight key land use issues in this Two Worlds blog, at least from time to time. I could do that. In fact, for any Santa Cruz County residents who are reading this particular blog posting, and who care about land use, the upcoming meeting of the Santa Cruz County Board of Supervisors, scheduled for Tuesday, May 10, 2016, has a number of important land use related items, including an item that could have truly profound impacts on the future of local land use. You can review the agenda by clicking the link. Agenda Item #53 recommends that the Board proceed to make the commercial cultivation of marijuana a legal land use in Santa Cruz County. If you care about this topic, and it will very likely affect your neighborhood, you might want to mark your calendar for June 14, 2016, which is when a proposed ordinance on commercial cultivation will likely come back for detailed review, and a public hearing. Supervisors Zach Friend and Bruce McPherson are calling for a full environmental review, and major public involvement. I think that is a very good idea! Not to worry, Gary! Land Use Report WILL continue!